Очень классный музей, билет на 2 дня, стоит своих денег. A must see. Don't worry, they have the ticket valid for two consecutive days, plenty of time to enjoy each exhibit. The 9/11 is powerful, and make sure you visit the pullitzer photos. One of the best museums in DC. Fun, interactive and amazing views. Admission fee is worth yet plan on 3hrs till a full day. Ticket is good for the next day also. 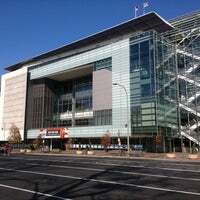 Be wary Newseum; you've been put "on notice" by Colbert! All joking aside, this is def a great museum and worth the price tag. The Pulitzer Prize pics and old newspaper articles exhibits are a fav. Really great museum...one of the few where you have to pay, but worth the price. Be smart and use your ticket to come back a second day for free! A museum about news is very captivating ! The fall of the Berlin Wall to 911 and the first news gazettes to be published ! The view from the top is the best on Pennsylvania ave! 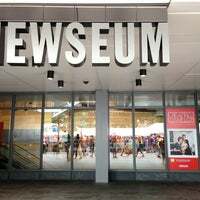 If you are visiting DC, you have to go to the Newseum. It's one of the few museums that you have to pay to get into but it is worth every penny! 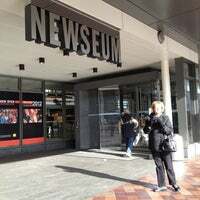 Great museum for everyone interested in history and the media. I loved the temporary Creating Camelot exhibition about JFK. It runs until 8 Jan 2018. 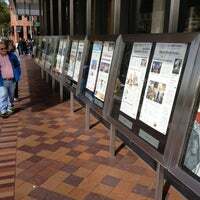 Great place, don't miss the VR experience, the studio tour and the history of how newspapers shaped the nation. Pullitzer prize exhibit also cool. Great spot, but give yourself more time than you think. It takes at least 3-4 hours to scratch the surface here. Your ticket gives you 2 days of admission though so you can revisit tomorrow! 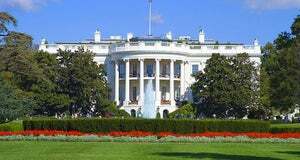 If you have only $25 and a weekend in DC, spend your money here! So much to see that ticket includes next day. Big Berlin Wall chunk, FBIs most wanted, Kennedy photo exhibit, make ur own news report! This is one of the most interesting museums I've ever been to...make sure you have lots of time to explore because it's huge and you'll want to see everything! Pulitzer Prize photographs are amazing! Even though it's not one of the many free museums in DC, it's worth it. Great Berlin Wall and 911 World Trade Center exhibition. Must-see museum! Engulf yourself in everything news and 1st amendment, great for children and adults. With all the free museums in DC, I waited a long time to visit this place, but it's well worth the price of admission. Block out a whole day and take it all in. Founding partner employees get in free (and accompanying family) - but remember to take ID. That said, it's worth the money, kids are free in the summer and you get to come back the next day. Great news museum with everything from Berlin Wall, 4D cinema and my favorite Pulitzer Prize winning photographs and lot more. 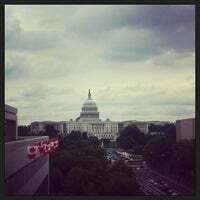 Bonus if balcony with view over The Capitol. You can literally spend an entire day here! 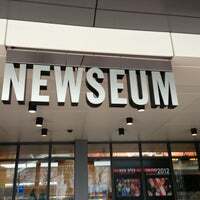 As a journalist, I've always wanted to come here -- and Newseum didn't disappoint. Definitely visit the 9/11 exhibit! Highly recommend, despite entry fee. Events are worth it! The atmosphere is wonderful with beautiful fresh flowers. The layout is fantastic! We went to a producers convention and had a lovely time! 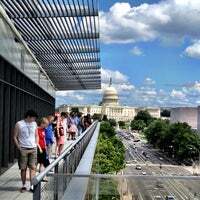 One of the few museums requiring paid admission, Newseum is worth it. Come early in the day because you can spend most of it here. There is a lot to see. History of TV, Radio, and the Internet is the perfect thing for a Communications major! You'll be able to learn so much, and it's great seeing actual artifacts right in front of you. 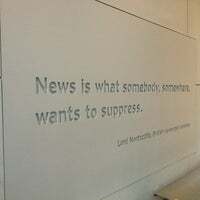 Loved the newseum. Lots of cool displays. Give yourself plenty of time though. It's not free and they close at 5. All tickets are good for 2 days. Truly amazing museum. Very fascinating exhibits that you won't see anywhere else. Tons to see, so it's great that tickets are good on consecutive days. 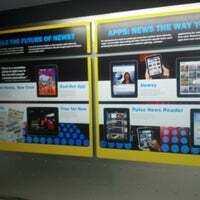 The Newseum is a great interactive museum in the heart of DC. Make sure to check out the news reporter section where you get to video tape yourself doing a remote shoot. Don't miss the Pulitzer Prize Photographs Gallery. It is a very moving experience. A comprehensive collection of Pulitzer Prize-winning photographs and interviews with many of the photographers. 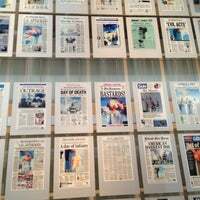 Experience what it's like to report the news, or find the newspaper from your date of birth in one of the Newseum's interactive exhibits. 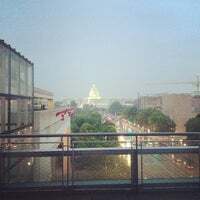 Take one of the best pictures of DC from the 6th floor. TeamTRI Tip: one of the most moving & well done museums in DC. We love this place! Exhibits awesome. Gift store rocks. Food super! View of America's Main Street one of the best. Well worth admission. Absolutely worth the price of admission; the exhibitions can be quite powerful. Great that tickets includes a next-day visit at no charge. Fantastic museum. I was really impressed with how up to date the exhibits were with events from the last month. Well worth a visit. Great museum. Beautiful view of the city from the 6th floor. 4th floor is dedicated to 9-11 events and houses the antenna on the WTC tower. 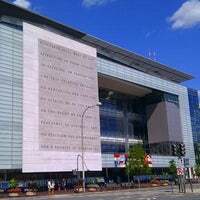 As a journalist, I make a trip to Newseum every year. Consider it my mecca. You learn something new every time. Going through old AND new newspaper front pages are my favorite things to do. I've been many times and this is still a great museum. With so many free museums in the area, you might wonder if it's worth it. It is. The 250,000-square-foot museum offers visitors a cutting-edge experience, blending news history with up-to-the-minute technology and interactive exhibits. Great lunch spot in Washington. The museum is worth the money! 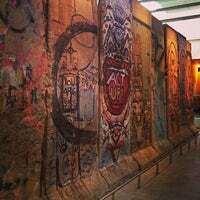 Loved the Berlin Wall exhibit. Absolutely fantastic. At first, the $20 ticket seems way too expensive, but it's a two-day pass of complete journalism heaven and definitely worth the money. Informative and interesting, but an adult ticket is $26 when it probably should be $15. Check out the watch tower from the Berlin Wall. Unlike most museums, you have to pay to get in here. Still, admission is worth the cost once you see the multiple stories of amazing exhibits. Simply the best museum on the planet in terms of interactivity, engagement, fun, emotion and education. Modest admission price is well worth it. And ticket is good for two consecutive days. This is one of my favorite museums in Washington. There is so much history displayed but created through the perspectives of many photographers and journalists. Although admission is $22 for adults, it's worth it for anyone interested in journalism. Very complete coverage of press/society interaction! 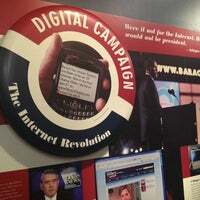 They have the keyboard behind ThinkSecret.com on display in the first amendment exhibit. Worthwhile way to spend the day. The photography and Berlin Wall exhibits were my personal favorites. "Try the Shanghai Noodles - Curry, chili, braised oxtail. A LOT of oxtail. And so good." "My kind of museum! Very interesting exhibitions focusing on press and news. Went there 2 days in a row!" "Вай-фай ловится на ступеньках. Можно не заходить." "What a gem! Two great spaces for the kids and lots of interesting exhibits for the adults. Each summer they roll out something unique as well." 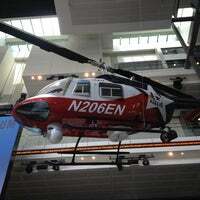 "Great museum! The exhibits change every so often but the Indiana Jones exhibit was very interactive and quite good!" "Однозначно требует посещения. Очень хорошая коллекция, да и просто красиво внутри." "Best Starbucks I have ever been too. The staff has excellent manners, very polite. A warm environment for all that love coffee." "Отличное место для прогулок и бега. Особенно утром в выходной. Пусто."